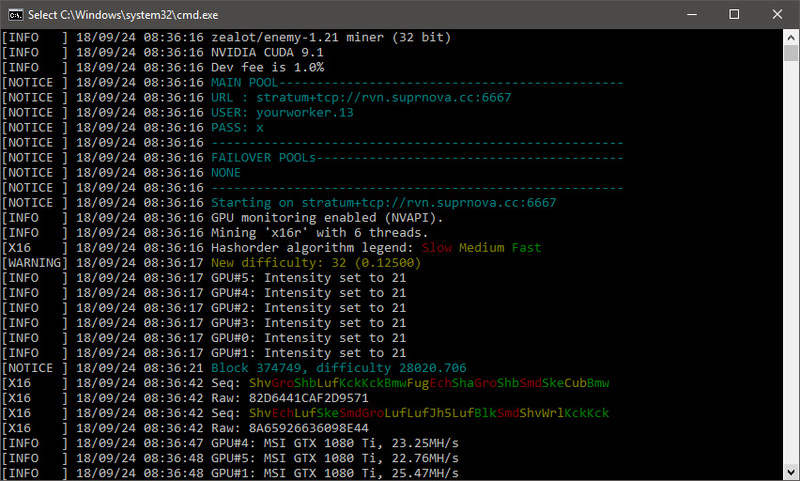 Another update for the z-enemy 1.21 Nvidia GPU miner that apparently focuses on adding some not so significant performance and stability improvements, as well as fixing some bugs. The lest new feature is an uptime reporting, so you know how long your mining rigs have been running without problems with the z-enemy miner. 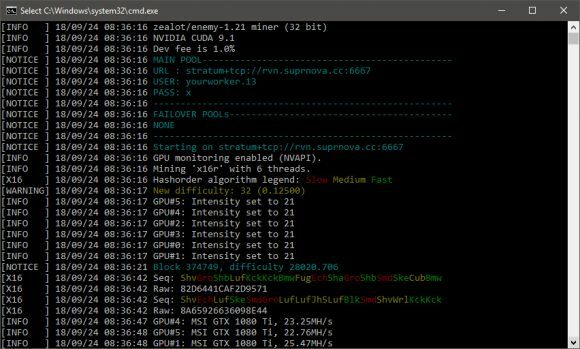 It is recommended to update to the latest release if you are currently mining using an older version in order to get the optimal performance and stability. The latest z-enemy version 1.21 is available for CUDA 9.1 and 9.2 for both 32-bit and 64-bit Windows versions as well as CUDA 9.0, CUDA 9.1 an CUDA 9.2 binaries for Linux (HiveOS, PiMP OS, EthOS & Ubuntu), the 32-bit version does seem to be faster in some of the algorithms. Do note that for maximum performance it is recommended to have the latest drivers installed (ver. 398+). We remind you that z-enemy is a closed source miner available only as a binary release and it contains a 1% developer fee built-in to support further software development.